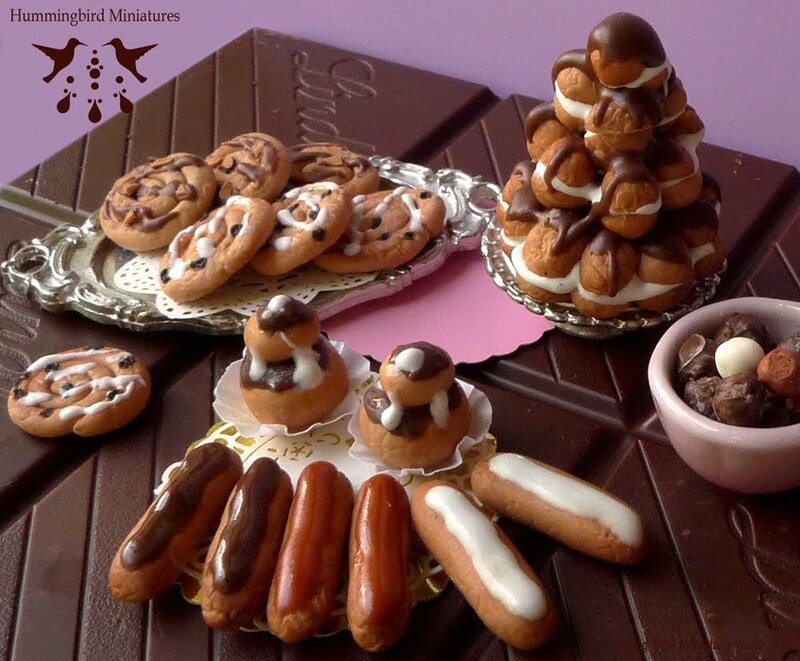 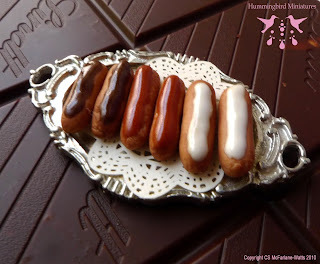 Here are some 1:12 scale cream eclairs coated with chocolate sauce, caramel sauce and white glace icing. 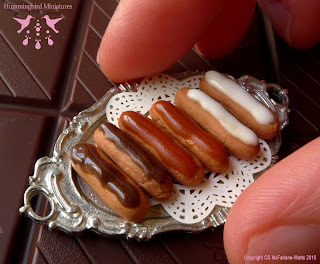 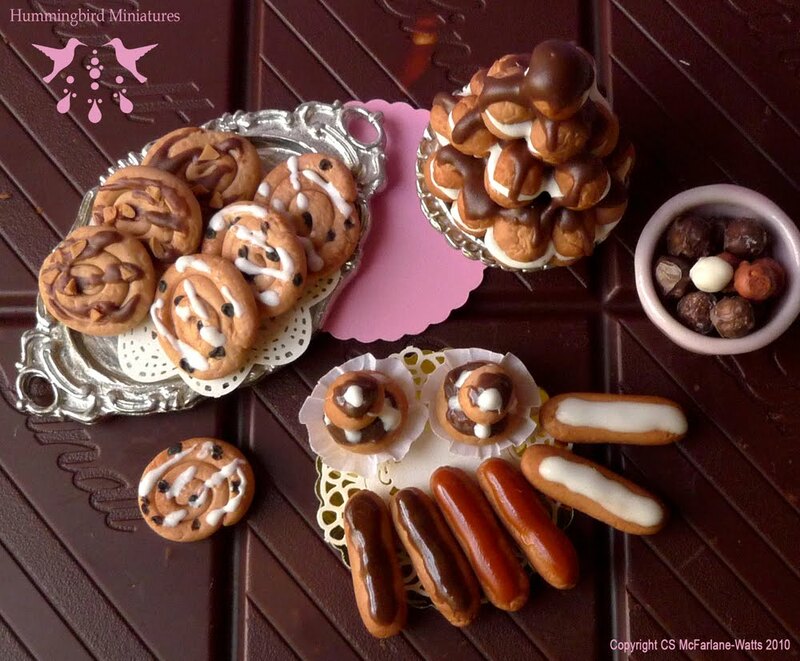 They are made from Polymer clay... enjoy! And don’t forget to find these items at the Hummingbird Miniatures online store or contact me directly for queries / commissions / purchase.